The Harp and Horn inn stood on the Edgware Road near Brent Bridge from the mid-18th century and had been renamed the Welsh Harp by 1803. It came to be known as the Old Welsh Harp after another inn named the Upper Welsh Harp was built further north. In the mid-1830s the confluence of the River Brent and the Silk Stream was dammed to create the Brent (or Kingsbury) reservoir, in order to supply the Paddington branch of what is now the Grand Union Canal. 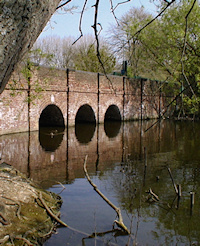 An old bridge that had carried Cool Oak Lane across the river was rebuilt at the time of the reservoir’s creation. The Welsh Harp reservoir, as it became known, was enlarged in the early 1850s and the Old Welsh Harp gained enormous popularity as a destin­ation for day-trippers. Sporting events of all kinds were held here, especially boxing matches, with ice skating in winter. A music hall song called ‘The Jolliest Place That’s Out’ praised the Welsh Harp’s attrac­tions. So great was the pulling power of the pub and the reservoir that the Midland Railway opened Welsh Harp station in 1870 to cater for excursion traffic. The station closed in 1903 and the reservoir’s appeal declined with the urban­isation of the surrounding area, especially after the creation of the North Circular Road, which had the benefit of allowing wildlife habitats to form. The Old Welsh Harp was rebuilt in 1937 but was later demol­ished to make way for the Staples Corner flyover. In the 1948 Olympic Games rowing compet­i­tions were held on the reservoir, which remains much-used by rowers, sailors and canoeists. The Welsh Harp Sailing Club and Wembley Sailing Club are both based here. A conser­vation group and envir­on­mental education centre were estab­lished in the 1970s and the northern part of the reservoir is nowadays kept boat-free to leave the waterfowl undis­turbed. Welsh Harp Village is a newish estate in east Kingsbury, jutting into West Hendon playing fields. Brent’s Welsh Harp ward covers the area to the west of the reservoir and includes north Neasden. The ward is ethnically diverse, with no single group consti­tuting a majority. 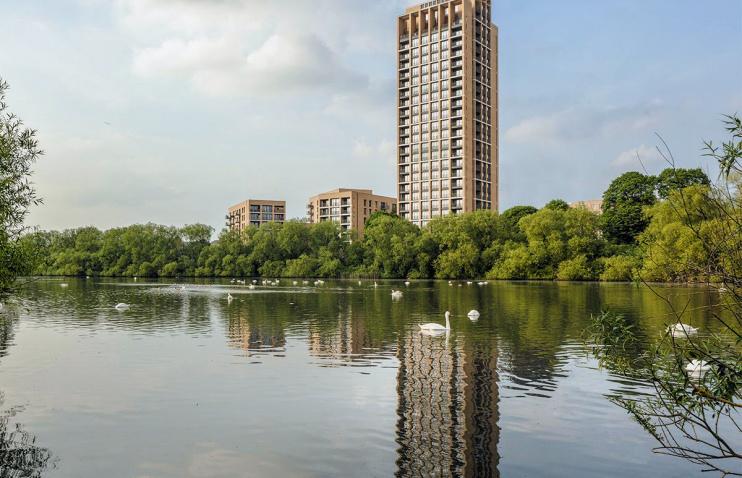 * The CGI of Hendon Waterside and the Brent Reservoir is by Allies and Morrison Architects for Barratt London.